Why Choose ThermaSeal / Lakeside Insulation? Integrity, knowledge and excellent service –These aren’t just words—they represent how ThermaSeal / Lakeside Insulation does business. Whatever your needs, you can trust us to offer high-quality home insulation products and services in Chicago and the surrounding areas. A variety of services – From attic insulation to commercial insulation, ThermaSeal / Lakeside Insulation can help you improve the energy efficiency and aesthetics of your home or building in the Chicago area. We install fiberglass, spray foam and cellulose home insulation products. If you want to install home insulation in Chicago, IL, you’ve come to the right place! The expert insulation contractors in Chicago from ThermaSeal / Lakeside Insulation have been insulating homes, offices and commercial buildings in Chicago and surrounding areas for over 10 years. ThermaSeal / Lakeside Insulation, a part of the Installed Building Products family of companies, has been serving Chicagoland since 2001 and helping residential and commercial customers alike increase energy efficiency and save money. We provide a variety of insulation installation services, all with one goal in mind: making your life easier. Request a FREE quote for home insulation from a professional insulation contractor in Chicago! Contact us online or give us a call at (800) 836-2535! Contact us online today or call (800) 836-2535 to install home insulation in Chicago! Do you own an office or commercial building in the Chicago, Illinois area? How well insulated is the building? If you need to install more insulation, call our commercial insulation contractors in Chicago! 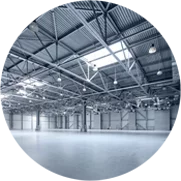 Our insulation experts have the experience required to insulate all types of commercial buildings. Fiberglass – Available as loose-fill, blown-in or as batts/blankets, fiberglass insulation is used not only in many homes but also in a variety of areas within homes, including the attic, basement, exterior and interior walls, any crawl spaces your home has, etc. Cellulose – As one of the most environmentally friendly insulation products on the market, cellulose is made of up to 80% recycled material. It is ideal for those who want to increase their home’s energy efficiency and be as green as possible. Available as loose-fill (dry cellulose) and as spray-applied (wet), cellulose insulation can be used in many different areas of your home. Spray foam – Spray foam is an incredibly popular insulation option because it can be installed in many different areas in a home, from the walls to around piping. Typically made out of polyurethane, it is applied in liquid form and looks like wet paint but, within seconds, dries and expands into a thick foam that snugly fills the designated space and creates a very tight seal. Radiant barrier – Typically installed in the attic, radiant barrier insulation is ideal for soundproofing and for increasing your home’s energy efficiency. What Are the Benefits of Insulation Installation in Chicago? 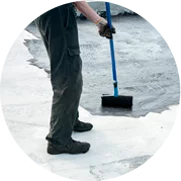 ThermaSeal / Lakeside Insulation’s trained staff of insulation contractors in Chicago will get the job done on time, on budget and in a safe manner. 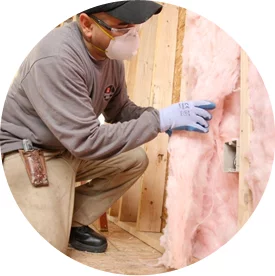 With our experience and dedicated staff to serve you, you can rest assured you’ve come to the right place for expert installation of different types of insulation—from spray foam to fiberglass and beyond! Ready to get started on installing commercial or home insulation in Chicago? No matter what it entails, we can help—just call us today at (800) 836-2535 or contact us online for a free estimate! We install commercial and home insulation in Chicago, IL. Let ThermaSeal / Lakeside Insulation help make you more productive and more efficient. Whether you’re a Chicago homeowner who needs more attic insulation or a builder looking for an insulation installer for a large project, we can help—give us a call or contact us online. We’re looking forward to working with you. Welcome to ThermaSeal / Lakeside Insulation, your source for professional insulation and other products for the home. Builders, contractors and homeowners throughout the Chicago area depend on us for a variety of products, and we are proud to serve them.